Are you looking for information on portable dance floors and portable dance floor prices? Read further and I will compare and review different portable dance floor prices and the dance floors themselves. If you need to find out more about the specific products, click on the picture of the product you are interested in. Why a Portable Dance Floor? Portable dance floors are very popular at the moment. The dance world uses them a lot, as they are a cheaper option than laying a proper sprung wooden floor like the one above. A lot of them are specially designed with the dancer in mind, and they are built to handle impact and thus protect a dancers joints. Most of the floors snap together and you can buy just the right measurements for your requirements. It is also a good idea if you are a dancer to buy some of this type of flooring in a small amount to lay in your home to enable you to have a space to practice your dancing. Doing this is ideal for tap dancers, as it means not ruining your existing floors at home with your tap shoes. There are also many different types of portable dance flooring. 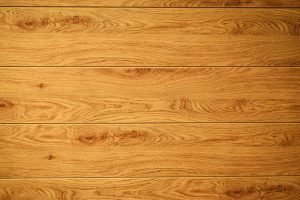 There is vinyl laminate, wood or parquet flooring. Here are some flooring types and some portable dance floor prices. This snaplock portable dance floor is quite popular and it comes in cedar or oak. It sells for about $85 per 3 x 3 ” square or $270 per 6 x 6 ” square. It is suitable for practicing aerobics, ballet, and tap dancing. It is lightweight, strong and durable, which makes it suitable for both indoors and out. No tools are necessary to install this floor as the squares just snap into each other until your floor is big enough for your requirements. The floor is easy to clean and is also easy to disassemble and reassemble. This floor is both water resistant and stain resistant and has a ten-year warranty. You can click on any of the pictures on this page to find out more about the floor product. This is also an interlocking dance floor and sells for about $170. It has a parquet flooring look and does come in different colors. “PowerProTM Dance Flooring is an economical portable event flooring system that allows you to transform almost any space into a dance hall. It can be used over a variety of sub-surfaces such as wood, concrete, or almost any other flat, firm surface. PowerPro Flooring comes in Oak, Teak, Black. and White. Black and White tiles may be combined to form a unique checkerboard pattern. PowerPro Dance tiles are sold in 36 square foot boxes. The price for these tiles ranges from $24 to $110. They are made of non-toxic EVA foam and can only be used indoors. Although they are water resistant. These are thick tiles especially to cushion hard floor surfaces. They are quite soft, so heavy objects could leave an indentation. Each order comes with a border. Besides dance floors, these make great floors for daycare’s and children’s nurseries. This floor comes in grey or black. It is great for dancers and especially pointe work as it is slip-proof and simply rolls up after use. The price ranges from $120 to $930, depending on the size required. This one goes over hard wood surfaces. The foam mat protects your spine, hips, knees and elbows on hard floors, also protects floors underneath from damage. Made of high density non-toxic EVA foam and has no bad smell. The tiles are interlocking and the outer edge of the mat can be removed to add other interlocking tiles at any time. This one is a great practice floor for home use for tappers, spanish dancers and clog dancers alike. Hope these portable dance floor prices help you to choose the right dance floor for your needs. Please feel free to leave a comment below if you have found anything better or you have used any of the above products. These are some really good options for portable dance flooring. I really like the foam snap together floor tiles because they seem like they would be much lighter weight and easier to assemble. Also, they would be easier on the joints and are the least expensive option. What is the life expectancy on these tiles and we’ll do they hold up? Well a friend of ours put very similar ones to these in her daughter’s bedroom in a corner so she could practice her dancing and although it isn’t a high traffic area they still look good ten years on. I would imagine these to be good as they are specifically designed for dancing and lots of foot traffic. I just learned something new. My friends sometimes organize dance nights or courses, I have attended some for a weekend. The problem was always the floor. Often sticky, rough or hard. I have to tell them about this option which isn’t expensive at all. Why not buy a mat and be ready for all situations? Does it make a difference what style you’re dancing? I love to tango. I am sure it doesn’t matter what style of dance you do, it just makes it more comfortable to dance on. Hey Mergie. I certainly learned something new from your post. I never would have thought about portable floors! We don’t have dancers in our family but we all participate in karate, so I was wondering if any of these floors might be a good surface on which to practice karate moves (which is similar in some ways to dancing). From what you’ve presented, the first two floors look like they might be rather hard-surface. The third one, the anti-fatigue tiles, looks to be a more pliable, forgiving surface. Since we have wood laminate floors in the house, do you think the anti-fatigues could be used over the laminate to create a softer surface for practicing karate moves? I am sure it wouldn’t be a problem if it is over laminate. I know you can’t do over wood, as wood needs to breathe. It would be best to check with the suppliers to make absolutely sure. My daughter is a dancer and also works as a dance teacher, so I’m glad to learn about these products. I think the most appealing benefit is that they are easily assembled and packed up again. Great for dance teachers who teach in venues that don’t belong to them. They can put the floor down for class, then pack it away again afterwards. I wonder how heavy they are? Could they be carried around by a dance teacher? I would imagine that an entire floor could be pretty heavy, but a few blocks not a problem. Wow, I didn’t realize there were so many options for portable dance floors! 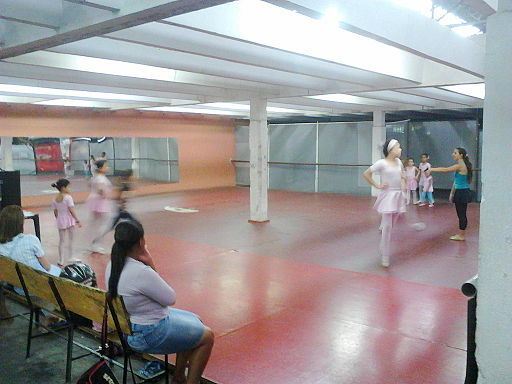 I admit that I am not a professional dancer and really didn’t take dance classes except when I was really little. However, I do LOVE to dance. You will often find me dancing around my kitchen when I am in a good mood. I did find that this is really hard on my joints, so may have to look into a portable dance floor! Never jump around on a cement floor. That is just asking for trouble.